Looking for the best garage doors in Colorado? For quality, durability and attractiveness, it’s hard to beat a Clopay overhead garage door from American Overhead Door. Clopay is part of our range of brands and products, which features only the finest names in the industry. We choose to offer products from leading garage door and accessory manufacturers because that’s the best way to ensure you’re getting the long-term performance and value you want out of a significant home investment. At American Overhead Door, we are able to offer a wide selection of leading brands because of our status as the largest independent and non-franchise dealer in Southern Colorado. We’re not locked into one or two brands, which means we have the freedom to recommend the brands and products that will best meet your needs. Clopay has a simple philosophy: You should love the way your home looks. This philosophy drives the brand’s manufacturing process — Clopay team members pour time and attention into quality design, as well as care and attention into the actual production of its garage doors. The result is a collection of garage doors that offers a range of material and style options. 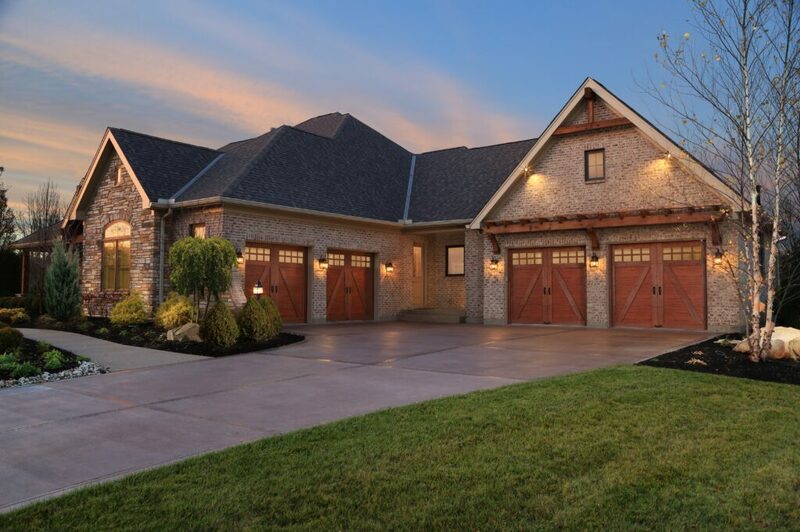 These many options mean you can customize your final choice and create a garage door look that will complement your existing architecture and enhance your curb appeal. 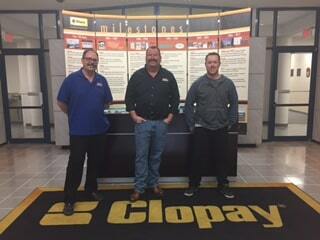 For more than 50 years, Clopay has been helping its customers fall in love with their homes all over again. The conscientious and creative way Clopay manufactures and delivers garage doors to customers has helped them earn the Good Housekeeping Seal — the only garage door manufacturer to reach that status. When you choose Clopay brand garage doors from American Overhead Door, you know you’re getting a product that will look great and will perform dependably for years to come. Test out Clopay’s Door Imagination System to see how a custom garage door can transform the look of your home. Simply upload a digital photo of your house and try on a variety of Clopay doors to start picturing your home with a new custom overhead door. At American Overhead Door, our services go beyond just a collection of new garage doors from top industry brands. We also offer 24-hour emergency repair services, commercial door installation and service, automatic gate operator products and much more. Our commitment to quality in new garage doors is also present in our repair and replacement parts. When you call on American Overhead Door for installation, repair, maintenance or other services, you know you’re always getting quality in products and parts that meet the highest standards. For more than 30 years, American Overhead Door has been serving the unique needs of home and business owners in Colorado Springs and beyond. Our commitment to quality, our range of products and our team of experienced, knowledgeable technicians have helped us earn an A+ rating from the Better Business Bureau. You can enjoy many options when searching for garage door products and services in the Colorado Springs area. Call on American Overhead Door and discover the quality of products and service you deserve. 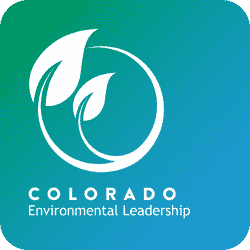 Contact us today about Clopay overhead garage doors in Colorado.